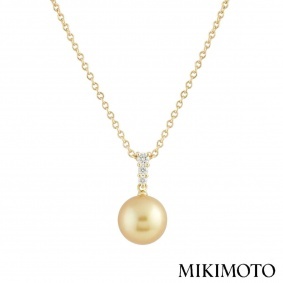 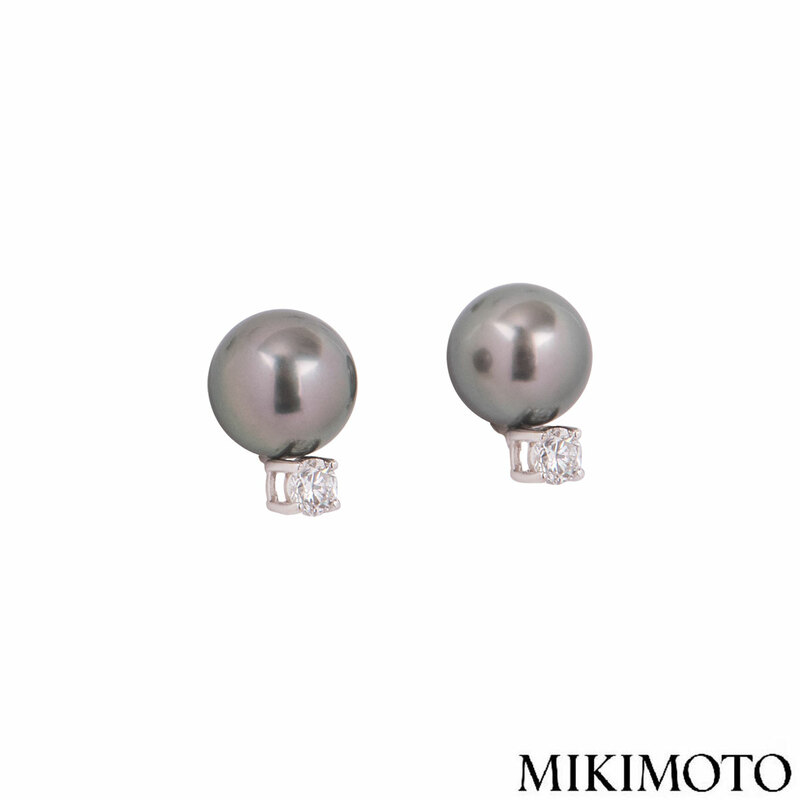 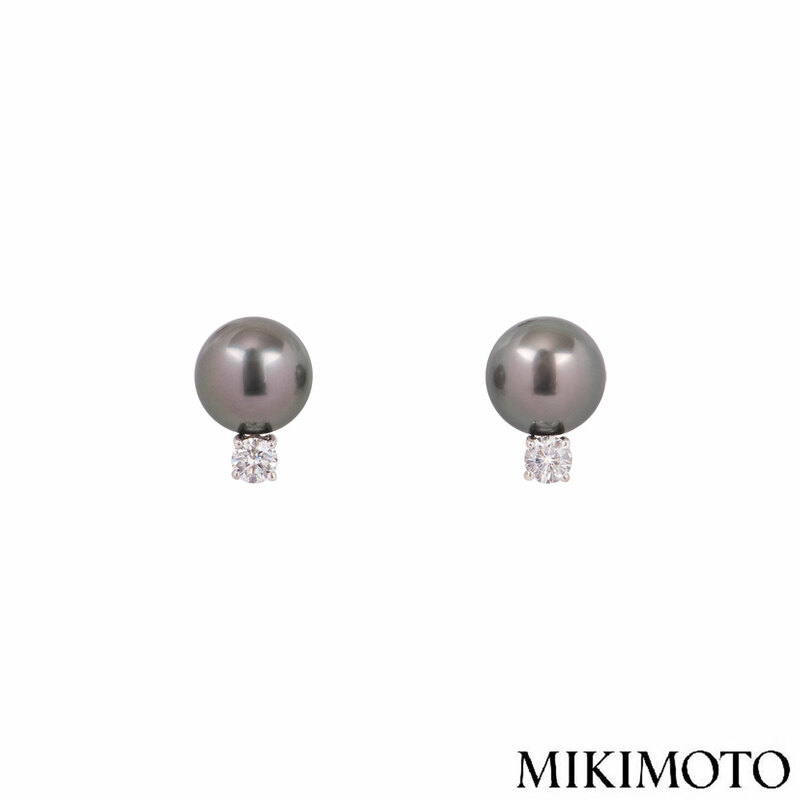 A stunning pair of 18k white gold earrings diamond and pearl earrings by Mikimoto from the Black South Sea collection. 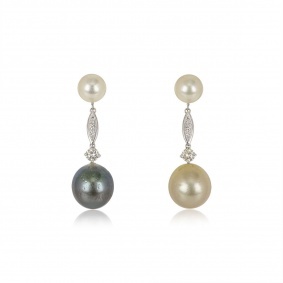 The earrings feature a 6.00mm black pearl with a round brilliant cut diamond beneath it with an approximate weight of 0.15ct. 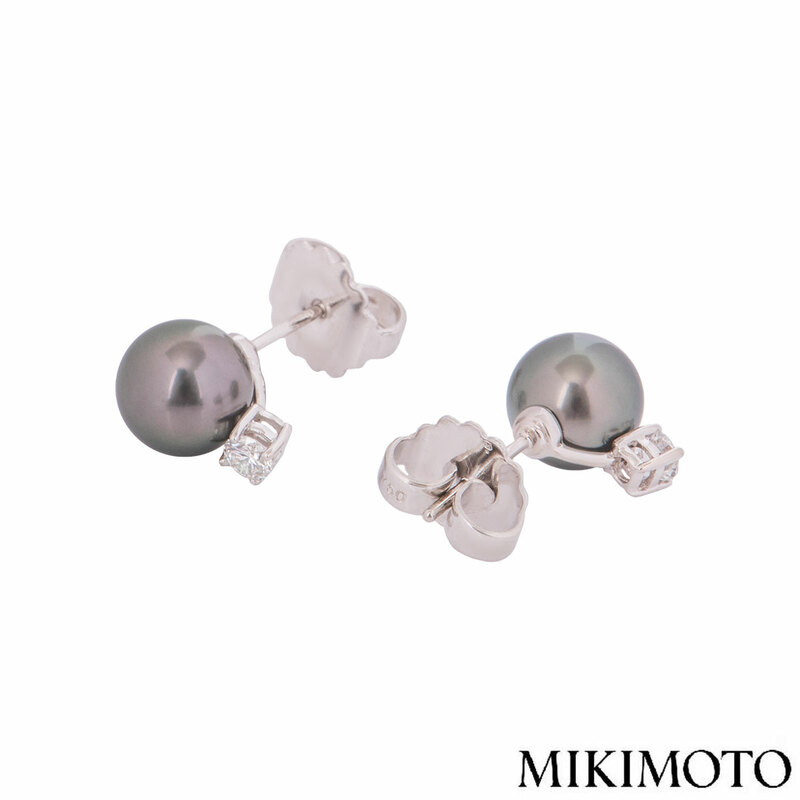 The earrings feature post and butterfly fittings with a length of 2.10cm and a gross weight of 4.40 grams.